Bluebonnet Ridge is situated on 64 acres, in a country setting, 5 miles east of Terrell, TX on IH-20. We are less than 30 minutes east of Dallas. The Retreat at Bluebonnet Ridge is the perfect place to call home! Come relax and stay with our family! Spacious sites with 20/30/50 electric service. Direct TV, WiFi, Putting Green and so much more. The Retreat at Bluebonnet Ridge is the perfect place to call home! 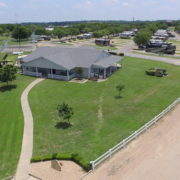 You can enjoy our beautiful 64 acres, which includes a tennis/pickle ball court, pavilion with fireplace, swimming pool, 5.5 acre fishing lake, adult hot tub, horse shoe pits, fitness center, laundry room, camp store, and more. Come relax and stay with our family! Featuring true Texas hospitality in a relaxing country setting, Bluebonnet Ridge is the perfect place to call home! 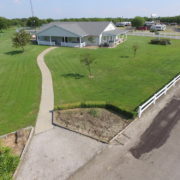 Whether for a day or much longer, you can enjoy our beautiful 64 acres, which includes a family swimming pool, 5 acre fishing lake, adult hot tub, horse shoe pits, store and more. Come relax and stay with our family! Our 90 foot long pull-thru sites will accommodate the largest rigs without having to unhook! Motorhome guests can select one of our relaxing 60 foot deep head-in sites located along our beautiful, stocked 5.5 acre catch-and-release fishing lake.